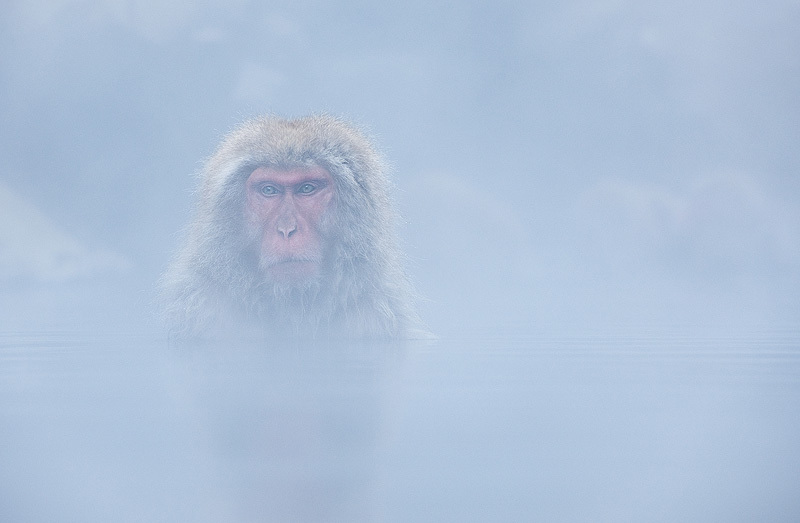 During the winter Japanese macaques (Macaca fuscata) like to bathe in natural hotsprings that are a constant 42C. Because of the temperature difference between the water and the air, there can be a lot of steam. This usually makes focusing a problem, but I really like the low contrast, soft effect that it gives.